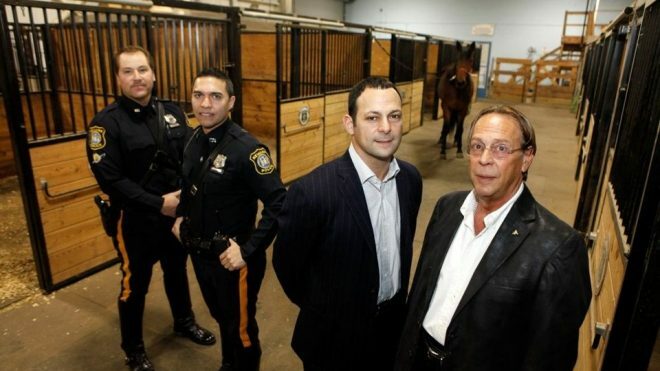 Josloff donation to save Newark's mounted police - Josloff Glass Co. When Larry Josloff was a kid, he was the “outrider” for the harness races at Weequahic Park. “I rode the saddle horse that led the race horses out,” Josloff said. He got the lofty position because his dad, Sollie, revived harness racing at Weequahic in the early 1950s. Sollie Josloff was a driver, trainer and owner, and had a dozen standardbred trotters and pacers stabled at the historic track. Now Josloff, owner of Newark’s largest industrial window company, is the lead horse again, driving efforts to save Newark’s mounted police. He donated $10,000, and is asking the state’s horseracing community to help, as well as the Newark Chamber of Commerce. The money will go to feed, and veterinary and farrier expenses. And a continued clip-clop presence on the streets of downtown Newark, where police have ridden high above the crowds, or ridden into them when necessary, for 120 years. Two months ago, it was reported here that Newark’s mounted police would be a budget casualty. Five horses had already been shipped to a farm in Allentown, and another four were headed to Philadelphia. Newark’s 18 mounted officers would be reassigned, and the stable on Orange Street would be shuttered. A 120-year-old tradition was coming to an end. But then came the Josloff cavalry. Other readers came forward, too. A woman in Scotch Plains gave $5,000 as did the owner of several downtown parking lots. But Josloff is leading a wider charge. First, he wrote a check to Newark’s Police Foundation, earmarked for the mounties. “That’s the most important thing. 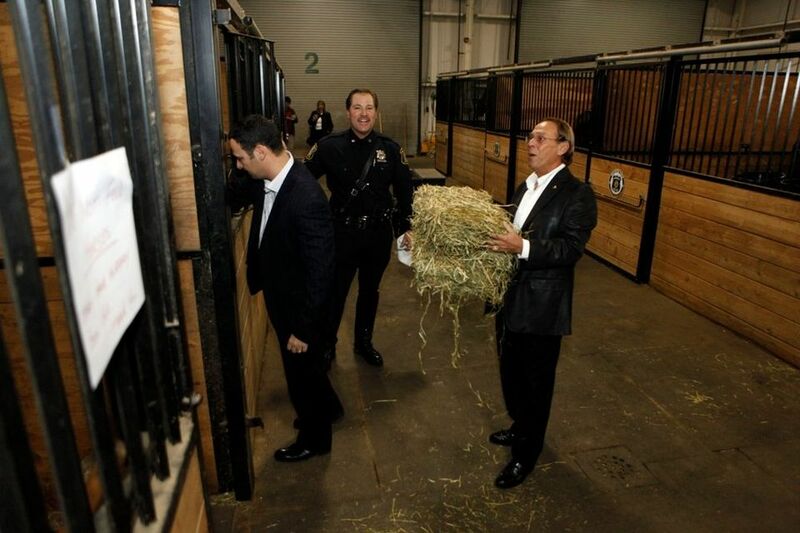 You have to designate it for the mounted unit only,” he said. Then he got the harness racing community involved. Josloff’s son, Ian, said mounted police are the mark of a big city department. 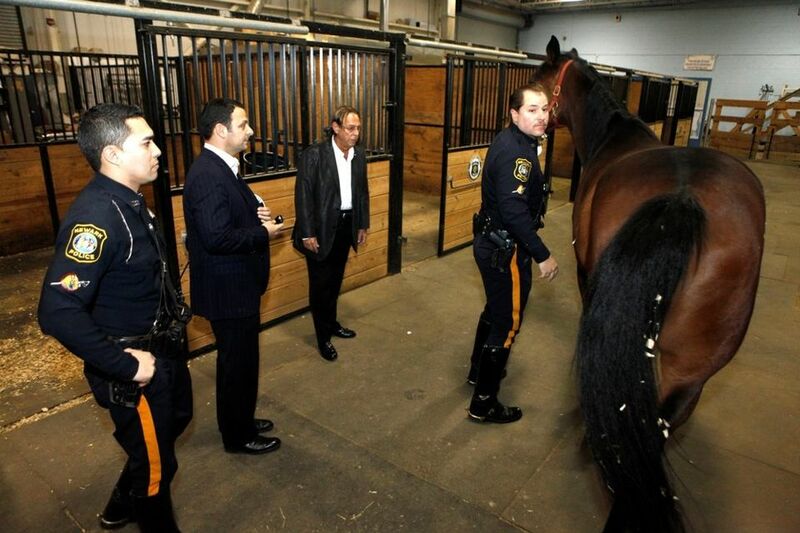 The Newark unit has been downsized to six horses and three officers, Louis Camacho, Richard Miller and Virgil Cordona. The men come in on their own time to feed, exercise and groom their partners. “It’s a labor of love for these guys,” said Newark police spokeswoman Det. Josephine Santaniello. 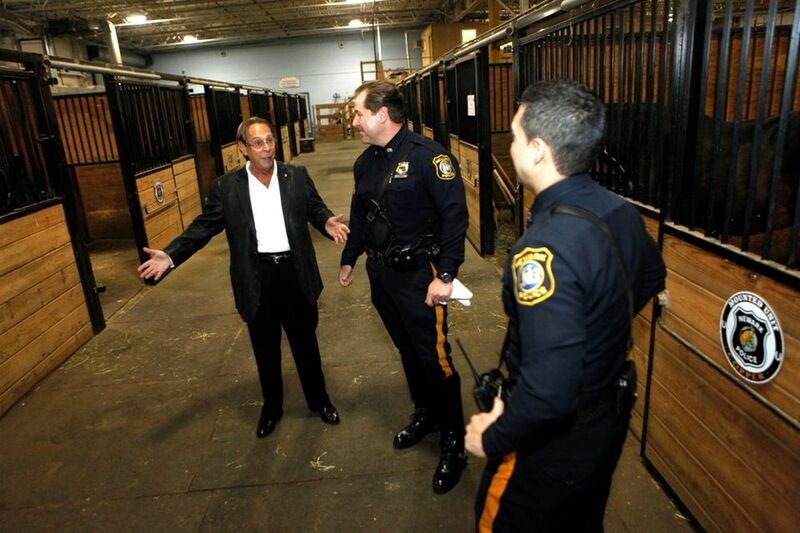 So too, for Larry Josloff, who’s passion for horses is only equaled by his love of Newark. His grandfather, Ezra, a Russian immigrant, started Josloff Glass in 1903. From his small workshop on Prince Street in the Central Ward, he repaired plate glass windows for stores along Springfield Aveue and downtown. A century later, the company’s job portfolio includes the aluminum curtainwall and glass at the New Meadowland Stadium, the Prudential Center and Terminal B at Newark Airport. Sollie Josloff moved the company to Meeker Avenue, the street that borders Weequahic Park in 1962, where it remains today. In those days, there were stables for 80 horses, a quarter-mile dirt track and a century-old grandstand from the days when the area was called Waverly Fairgrounds.